The book is called Wildwitch: Life Stealer, and it’s by Lene Kaaberbøl (and it’s translated by Charlotte Barslund, review copy from Pushkin Childrens’ Books). Clara, a young wildwitch, starts having weird dreams, but the weirdest part is that she has them while she’s awake. She goes to see Aunt Isa, who says she has a – dramatic pause – ‘Revenant’! This is someone who was once alive but died, and now they want to be alive again. They use a person, and they make them hungry – and eventually they start getting hungry for living things, like cute baby badgers (poor Clara!). I liked it. I enjoy the Wildwitch series, and I wanted to find out more about Clara. I also liked her weird dreams which were a bit like Journeying (where you take an animal’s body, and you can see through the animal’s eyes). My favourite part was when they found out more about the Revenant, a girl who used to be a Wildwitch. They learned some useful things, including information about her family and her school, which helped them with their quest. I would recommend it to boys and girls who like a-bit-scary stories with magic! It wouldn’t be stretching the truth too far to find a connection between the two series. 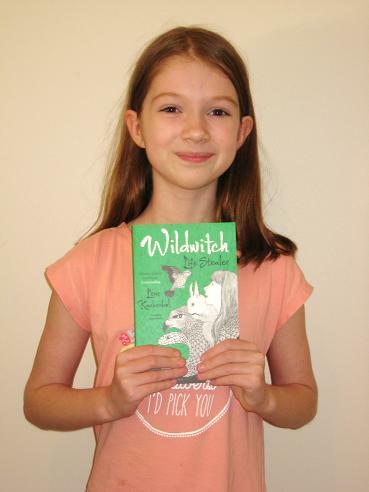 As we saw in the first Wildwitch book, just like Harry, Clara discovers her true nature when coming of (witching) age, and the books describe a young person growing up and trying to work out who they really are – just like the children reading about them. It’s this gradual broadening of horizons from the world around us to what lies outside the protective boundaries of our home that makes both series (and much children’s literature) interesting and successful.